H.E. 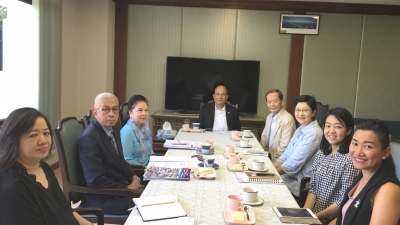 Phan Wannamethee, President of The WFB, assigned Mr. Phallop Thaiarry, Vice-President and Secretary-General, visited Regional Centres in South Korea for strengthening relationship from 24-28 May B.E. 2561 (2018). 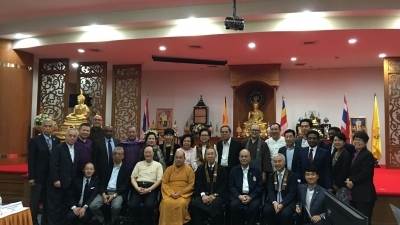 Mr. Rajratna Ambedkar from the Buddhist Society of India, one of 42 Regional Centres of The WFB in India led the group to visit The WFB Headquarters on 28 May B.E. 2561 (2018). 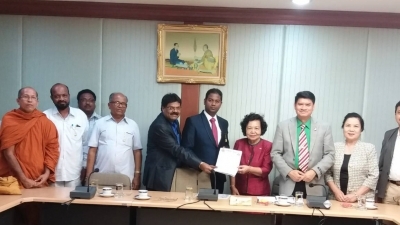 They are welcomed by Mrs. Kanchana Soonsawad (Executive Council Member), Mrs. Sawanee Chuensumran (Deputy Secretary-General), Rear Admiral Isara Yimpanich (Assistant Secretary-General). 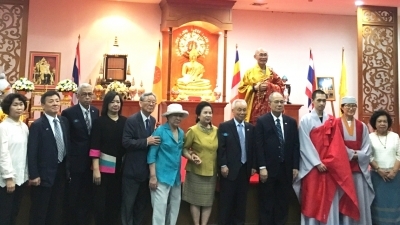 It was held at The WFB Headquarters in Bangkok from 26-30 March B.E. 2561 (2018) at Sanya Dharmasakti Auditorium. Reverend Beob Ahn, Head of An Sim Jeongsa, Mr. Lim Seon Gyo, Honorary Chairman of World Fellowship of Korea Regional Centre, and groups paid a courtesy visit to H.E. Phan Wannamethee, President of The WFB, and visited The WFB Headquarters. 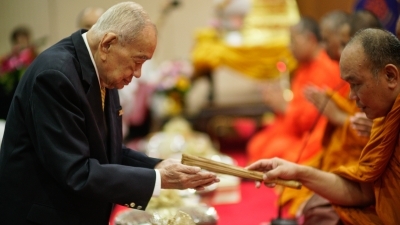 The WFB Headquarters organized a Merit Making for New Year and the President of The WFB’s Gracious Age at its Headquarters in Bangkok, Thailand on 27 January B.E. 2561 (2018). Although the very low temperature that hit most parts of Thailand was subsided, people is still affected by a very cold weather. 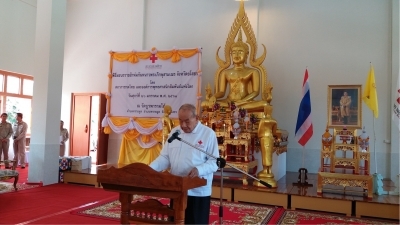 Further assistance provided to all monks and people was still going on. H.E. 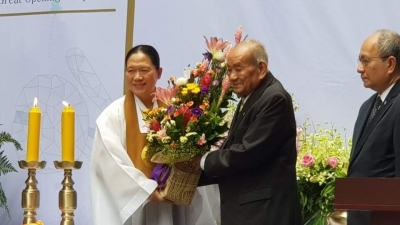 Phan Wannamethee, President of The WFB, Mr. Phallop Thaiarry, Secretary-General, and Mrs. Kanchana Soonsawad, Executive Council Member, attended the opening ceremony of Won-Buddhism temple in Bangkok, Thailand held on 21 November B.E. 2560 (2017). 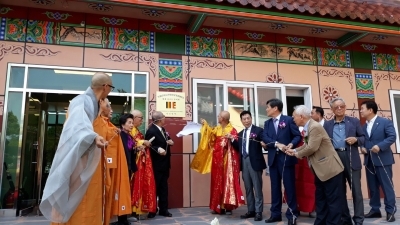 It is hoped that this temple will provide a chance for Korean and Thai people to learn each other culture and tradition thru Buddhism.